I have not idea what the secret formula or texture is but I can definitely tell you it’s not as soft as a gel. I always find gel products can go to waste easily when you have a lot on your brush. With this, you can easily control how much product you get on the brush without anything going to waste. This is my first non pencil eye brow product and have found it very easy to use. Hello natural brows. I have chosen the shade Brown and it’s a perfect match for me. 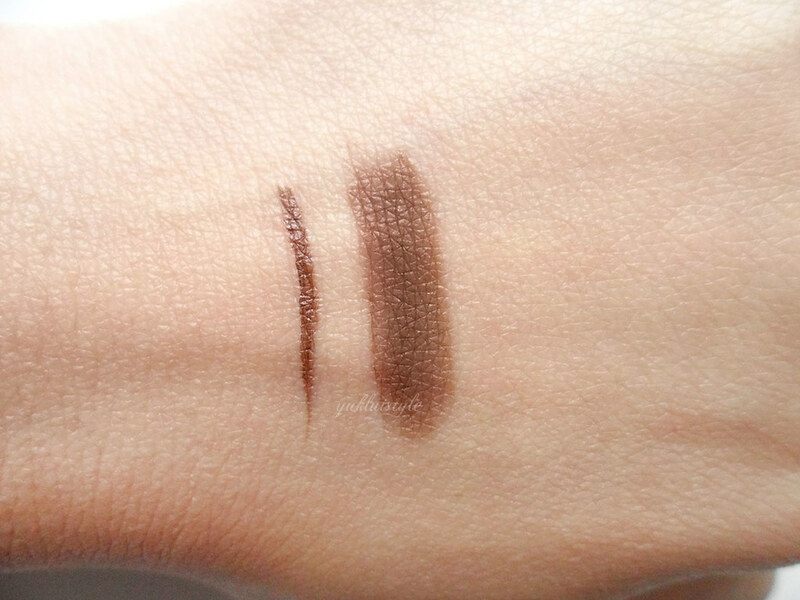 Not too dark or harsh for my skin tone and is similar to my all time eyebrow pencil – Rimmel eyebrow pencil in Hazel. 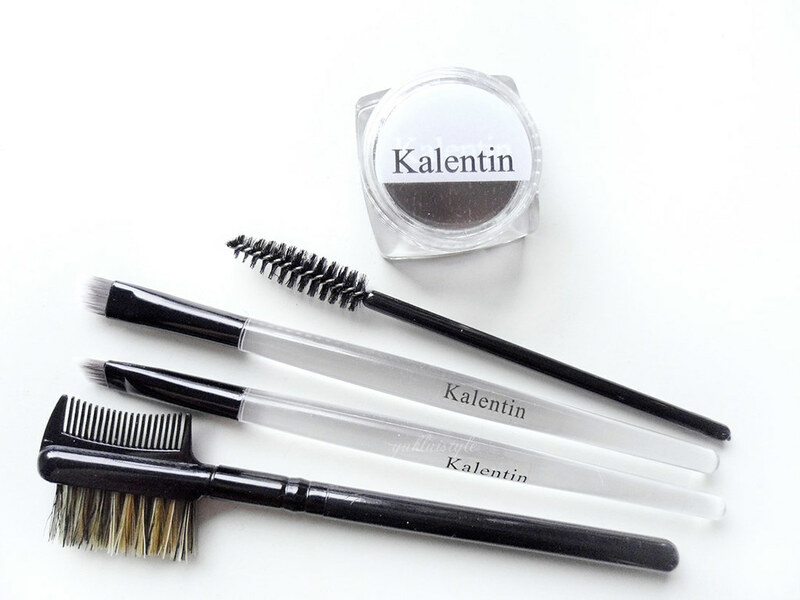 In this set, you get 4 brushes included you need to shape and polish the brows – 2 angle brushes, a spoolie and a comb. I had found the angle brushes easy to use for a newbie like myself. I am able to get an even coverage and a precise line. The bristles aren’t stiff, enabling fluid movement whilst in use. Using the brush and product together, the texture of this spreads like a dream and sets for the whole day. You don’t need much. The shade is buildable if you prefer a much bolder look but I prefer natural myself. My eyebrow area does get oily too and it hasn’t eaten it up or is smudged. Hurrah! More than 12 hours and it’s still going strong! I did notice some shimmer when I had swatched it on my hand with my sharp eyes but couldn’t see it in my brows. I have incorporate it in my everyday routine now. I’m able to use this as fast as an eyebrow pencil. The pot may be small but it will last you ages. I haven’t made a dent yet, just scraped the top. You can easily remove this with ease with any makeup remover. The colour choice is impressive. There are 8 shades to choose from, one to suit everyone. These are going to make an appearance at IMATS London this year, at booth #621. Be sure to definitely check them out. It may be a tad pricey but it is definitely worth it. Have you tried this eyebrow definer? I'm a huge fan of gel but this product looks really nice and gives a nice coverage but you can still see your individual hairs. Fantastic! Your brows are perfect and I so want to try this product now. 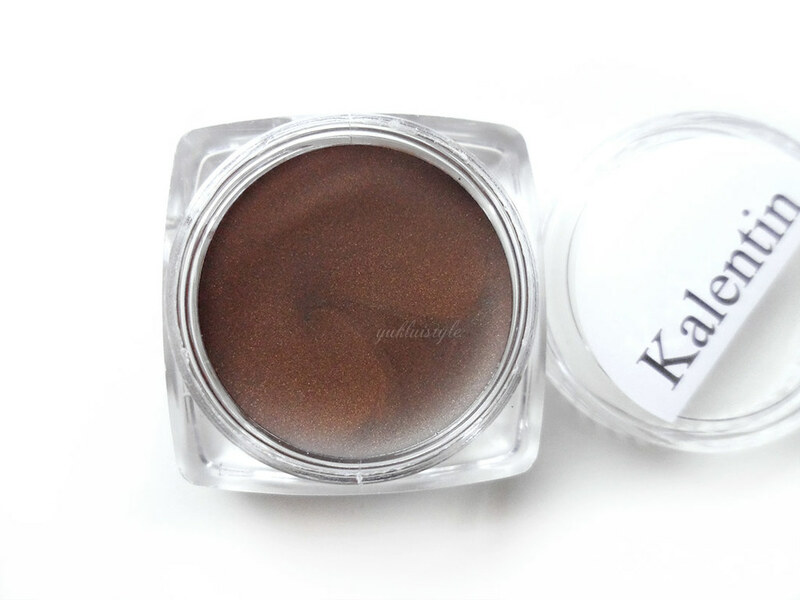 The colour perfectly fit your eyebrow!~ Looks great on you, Nice review! I love eyebrow products, definitely gonna try this one out! Kalentine seems like a lovely brand, will surely ask my cousins to get it for me to try it on! I never heard this brand, but it's looks cool on you! I haven't played with eyebrow gels, but this looks fantastic on you! The color match is perfect, and not too dark or harsh! Im such a brow snob, I like unique products too. Wonder how much shipping is to the us! Very pricey, yeah, but it looks worth the buy, to be honest. I didn't see any product like this before and the results are pretty good! I prefer using pencils or powders when it comes to my brows, but this seems lovely! I'm actually planning to try out more brow gel stuff instead. I find that even if I don't use them as much, they do seem to last longer in general. I wish I could see how it looks on your brow. I'll just trust your word for it. I have to ask my cousin for her opinion, too. sounds like it has a unique and good consistency? i never found the need to use a brow pencil or definer because i already have thick eyebrows. but now since i got a lighter shade of hair colour, i might need to get one to match my hair colour! wow! looks like an amazing product, a bit in pricer side though! but again its great that it comes with brushes ! i love the brown color. is so natural on your skin and pigmented. Looks very natural, the shade! Being a natural eyebrow fan i think it'd suit my needs too! .. just have to figure out whee to get it here.. heh. 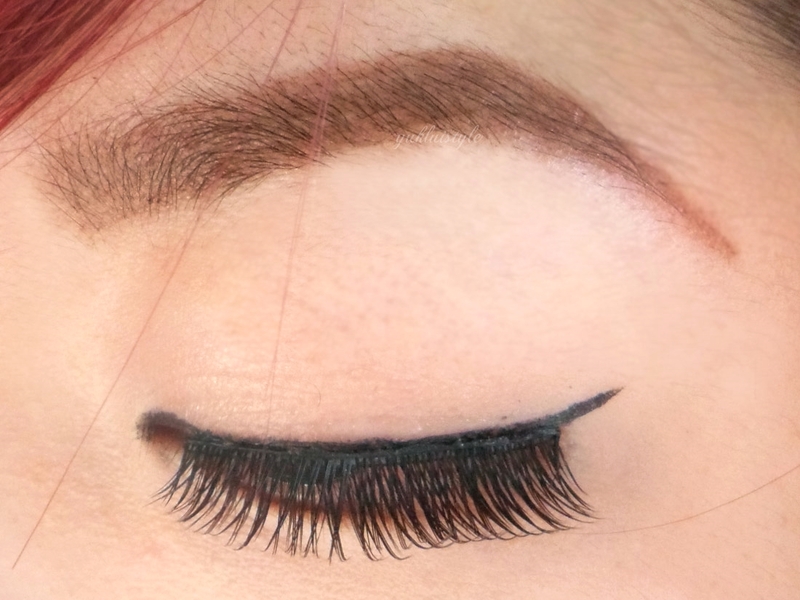 I have thick brows, so have never bothered with eyebrow pencils… this looks good though!